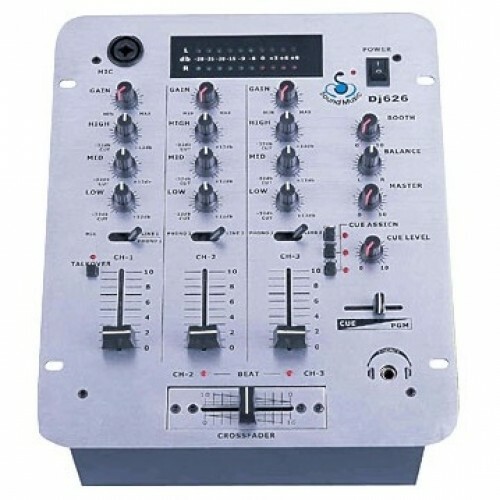 The Gemini PS626X DJ mixer is an incredibly cost effective way to get into a versatile battle-style DJ mixer. 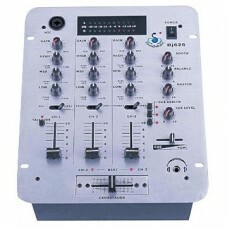 The Gemini PS626X features include four channels configured as follows: 6 line inputs, 2 of which are convertible from Line level RCA to Phono level, a single 1/4 inch mic input for talk over, rotary gain and 3-band EQ per channel, User-replaceable RailGlide Crossfader as well as super bright LED VU meters and much more. 10 inch rackmount compatible. Find out why more DJs use Gemini!